These monstrous black dogs with glowing red eyes have spooked and intrigued people for centuries. Moments after the church was fried, a massive black dog burst through the doors, careening through the aisles. Two men knelt in prayer. The monster shot past them, and as he did he “wrung the necks of them bothe” and they fell over dead where they prayed. As quickly as he appeared, the dog vanished, leaving nothing but scorch marks on the floor and two corpses in his wake. 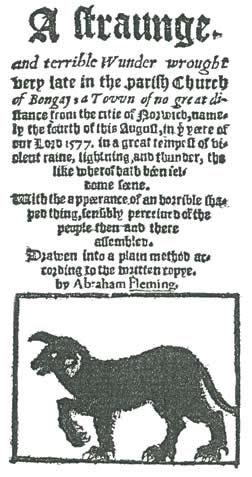 Reverend Abraham Fleming recorded a famous 1577 account of a Black Shuck sighting in “A Straunge and Terrible Wunder”. Tales of monstrous black dogs, often with glowing red eyes, abound worldwide, but especially in England. Black Shuck is a popular one, but many regions have their own versions. They’re called The Gurt Dog, Padfoot, Barguest, The Hairy Hound, The Yeth Hound and the Grim, among other names. In the Isle of Man they’re called a Moddey Dhoo and in Scotland a CÁ¹ SÁ¬th. Black dog legends inspired Sir Arthur Conan Doyle’s “The Hound of the Baskervilles” and a Grim makes an appearance in “Harry Potter and the Prisoner of Azkaban.” A cursory search will reveal numerous Black Dog Pubs, Black Dog Restaurants and Black Dog Inns scattered across England. Mark Norman has been researching black dogs for fifteen years. He grew up in Devon, an English county known for its coastlines and rural inland that is rife with legends and myths. But he didn’t develop a special affinity for black dog stories until he arrived at the University of Exeter, where he works for the student guild. There he discovered the archives of respected English folklorist Theo Brown, including seven whole boxes of black dog lore. Norman was hooked. He is currently working on a book about black dogs using Brown’s material, as well as collecting stories on his own. 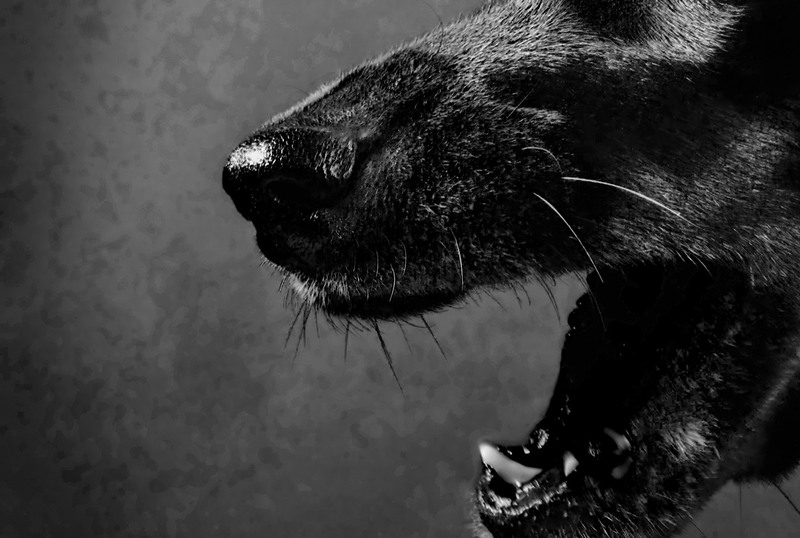 A black dog’s motivation changes along with cultural perceptions of canines; in cultures where dogs are considered unclean they tend to be more nefarious. Black dogs take many forms, but often have things in common. They are, of course, black. They are often abnormally large, with shaggy coats and have glowing, enormous eyes. But curious variations abound. There are dogs who drag chains from their necks. There are dogs with no heads and dogs with human faces. There are dogs who dissolve into mist, dogs the size of houses and dogs who walk on their hind legs. Tales of black dogs date back centuries. The earliest recorded appearance in English literature that Norman has found is from 1127. There are plenty of reasons people tell black dog stories, he says. Some of the stories were probably concocted to keep children away from dangerous places. But many black dog stories can be attributed to smugglers who wanted to keep interlopers away from their coastal smuggling routes. Smugglers were fond of inventing all sorts of scary stories to keep pests away: Norman has heard stories of smugglers painting the body of an unlucky horse with luminous paint in order to convince townspeople that a particular road was haunted by a headless horse and coach. And people still see black dogs. There are whole websites devoted to black dog sightings, like the encyclopedic Shuckland, which catalogs sightings by location. And then there was the discovery this May that had news outlets breathlessly wondering if definitive evidence of Black Shuck’s existence had been uncovered. 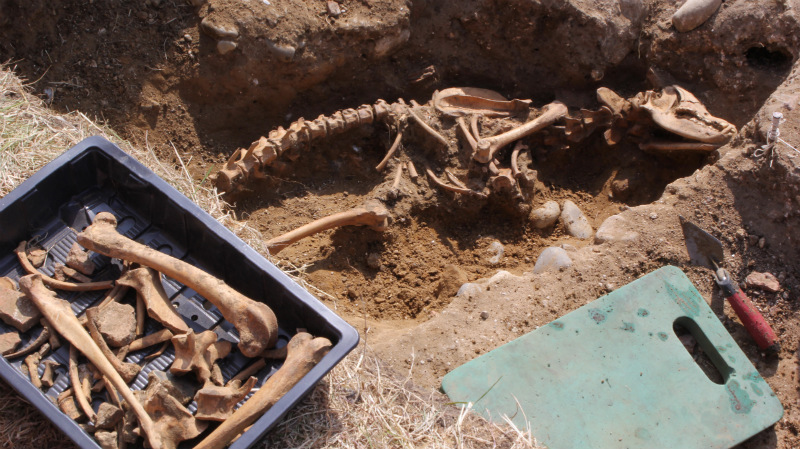 “Is this the skeleton of legendary devil dog Black Shuck who terrorised 16th century East Anglia? Folklore tells of SEVEN FOOT hell hound with flaming eyes” crowed a May 2014 Daily Mail headline. Not quite, says Lisa Wescott Wilkins, managing director of Dig Ventures, a crowdfunded archeology excavation project. 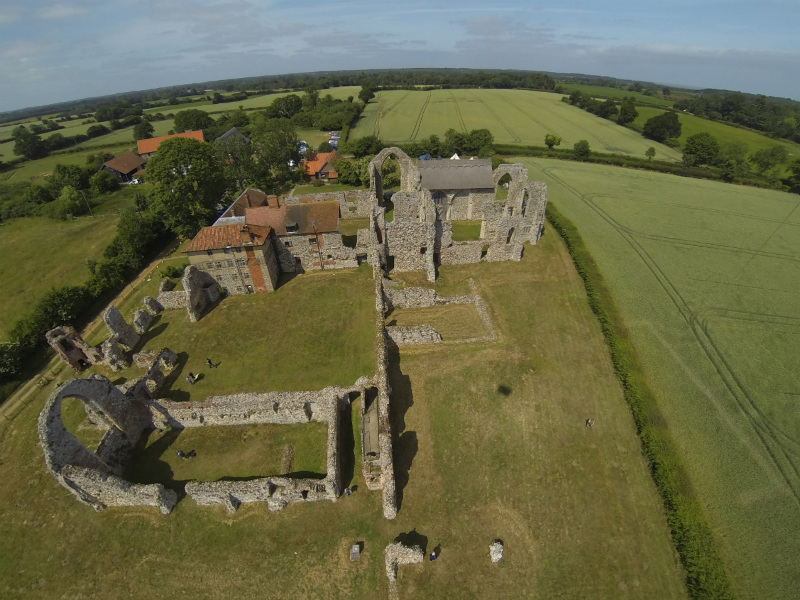 The group’s team unearthed the skeleton during a dig at the ruins of an abbey dating back to the 1100s. The skeleton, she says, was about the size of a Great Dane. Without radio carbon dating, they can’t say exactly how old the skeleton is, but they do know it suffered a wound to its leg that would have given it a significant limp and that it was buried in a grave. Some people have claimed that black dogs are actually leopards or pumas that roam England. Others think black dogs are a kind of hallucination caused by a dream state. Norman allows that there may be some truth to those theories, but that he has also heard stories that he simply can’t explain.